New Delhi, Oct 8 (IANS) After putting up a brave fight against USA in their Group A opener in the FIFA U-17 World Cup India 2017, the Indian U-17 National Team coach Luis Norton de Matos asserted his side are ready to take on Colombia on Monday. 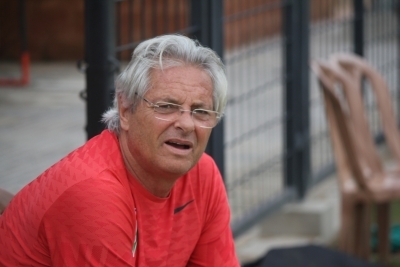 Head Coach of the Indian U-17s Luis Norton de Matos wasn’t willing to read much into the opposition on Saturday, but said: “The team will fight to the last minute and play with confidence giving Colombia a run for their money. “Colombia are tough opponents and they possess the necessary elements to hurt us. We have to be on our toes all throughout and have to focus on the task at hand. They (Colombia) will also give us a tough physical fight but we are ready for it. Matos also said his wards were shy in expressing themselves in the first group-stage fixture against the US. “Against USA, we had a nervy start and the players were shy and could not play their game against a team of the quality of USA. It was their first match ever in a FIFA World Cup and emotions can be a little hard to control when you play in front of 55,000 people for the very first time,” the Portugese said. Meanwhile, the players are all geared up for the next challenge. “Winning and losing are part of football. What matters is how well we recover ourselves and learn from our losses and continue to move forward,” said team’s star winger Komal Thatal. “We will give it our very best as it is a do-or-die game for us if we have to remain in contention of progression,” he added. The Indian U-17s had played Colombia in a four-nation tournament in Mexico City, Mexico where the colts lost 3-0.